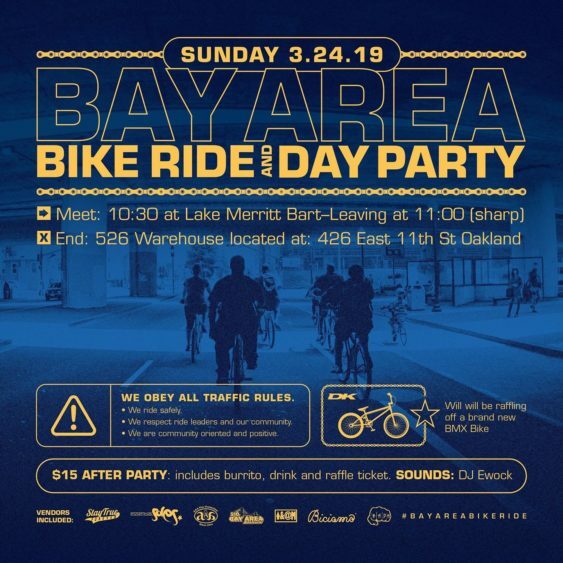 You’re invited to the first ever Bay Area Bike Ride & Day Party when Oakland will be filled with bicycles. Please note, the original starting location was Lake Merritt BART, but it has since been changed to the 526 Warehouse due to the traffic impact from the Oakland Marathon. The event jumps off with the big community ride, where anyone and everyone is encouraged with a passion for two wheels to come out and join. Roll out of Lake Merritt Bart 526 Warehouse promptly at 11 am. After the ride, stick around for the special day party with TRUE SF’s own DJ Ewock, as well as a marketplace for home grown brands, showcasing product made by local creatives. Plus, tons of cool products and bikes will be raffled off, and AAA Fire Protection will be in attendance with career opportunities. There is a $15 after party sliding scale donation at the door that also gets you a burrito, drink, and raffle ticket. 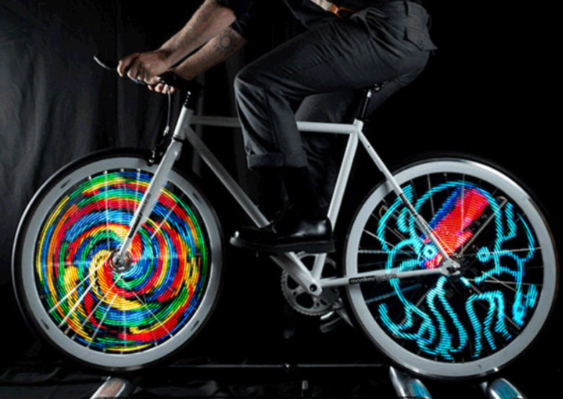 The intention is to bring the community together, ride, share ideas, promote health, and strengthen ourselves by supporting each other.